We updated this project in 2018—check it out here. 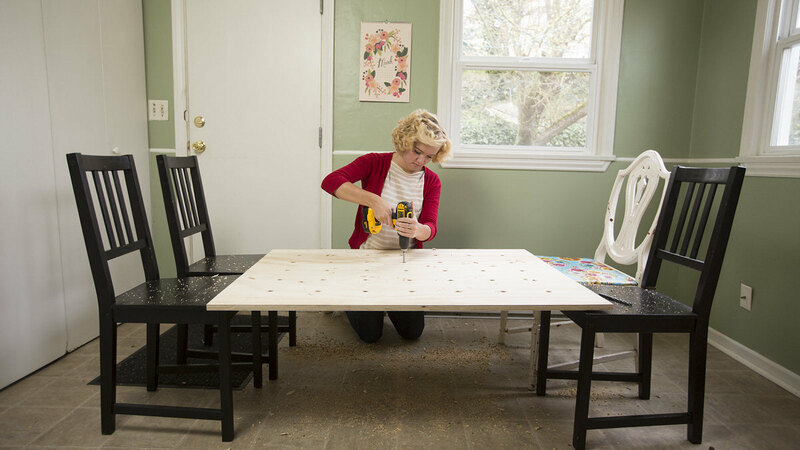 The Internet is full of DIY projects we love. Inspiration is just a click away, but there are few home design and improvement sites we love more than Apartment Therapy. 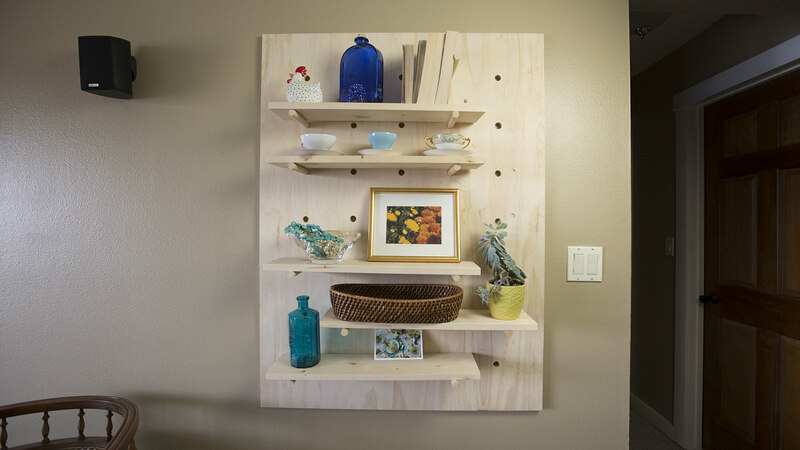 When we saw their tutorial for a Modern Pegboard Shelving System, we had to give it the #DunnDIY treatment. 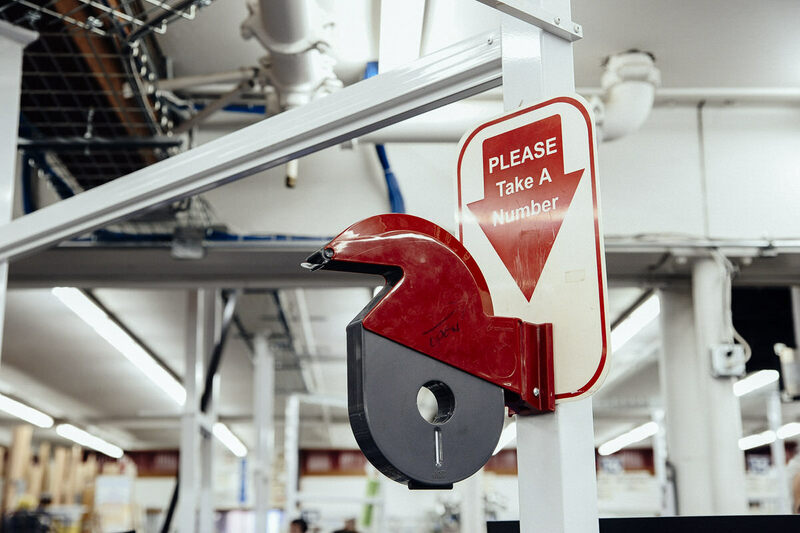 We visited the Seattle store to gather our tools and materials to construct our very own Pegboard. It's perfect for a kitchen, office, or even a bathroom. It's a simple, elegant, and modern storage solution that can be completed in a few hours and for under $50 dollars. We visited the Lake Union Dunn Lumber location to have our shelves cut to size. We took a number, shopped for our other items, and before long we had a 10 ft Spruce board cut into five 2 ft lengths and a half sheet of plywood cut down to 36"x48". Don't be afraid to ask questions! Gather your tools and materials! 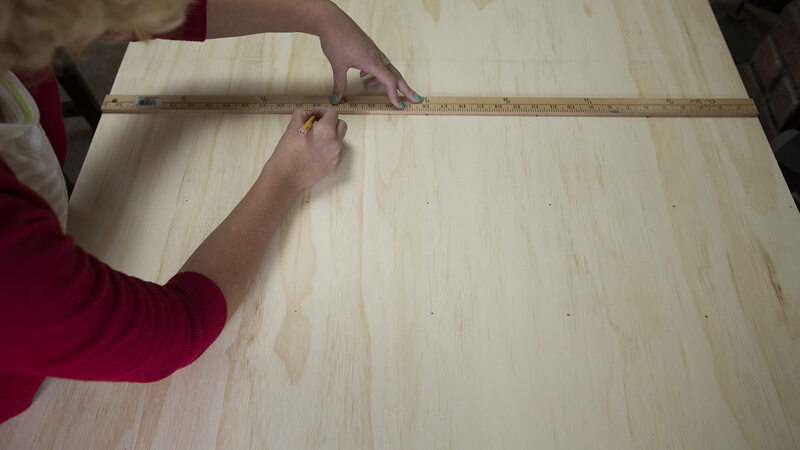 On the face of the plywood, mark out a grid of dots six inches apart with a yardstick. You should end up with a total of 35 dots (5 dots x 7 dots). 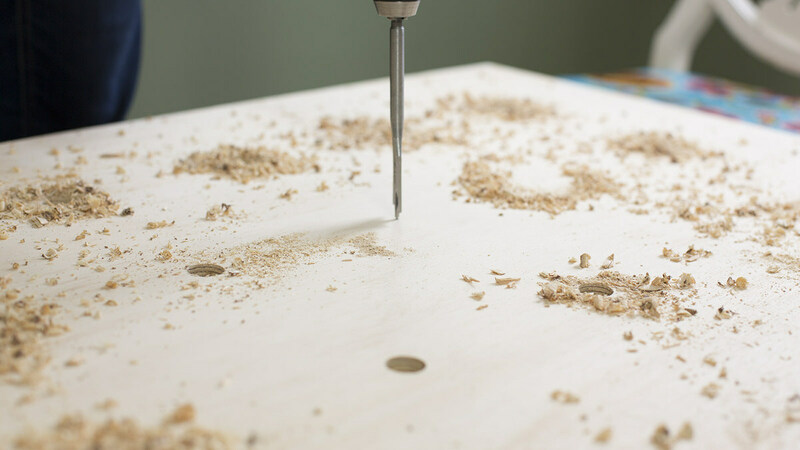 With the spade bit, drill all 35 holes onto the surface. Note: Be safe. The spade bit can whip the drill around if you aren't careful. The best technique is to turn the spade bit quickly, but move the drill slowly and with a light pressure. If you feel like you aren't making progress pull the bit out and make sure there isn't anything stuck to the tip of it. Also, drilling with a spade bit can be messy. There will be a lot of wood shavings, and they will go everywhere. Keep a vacuum or shop vac close at hand. 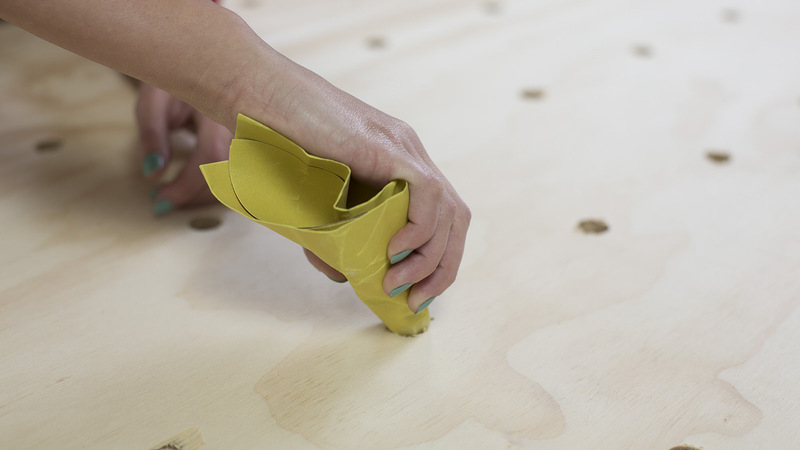 With sandpaper, smooth out all the splinters in the holes and on the reverse side of the plywood. 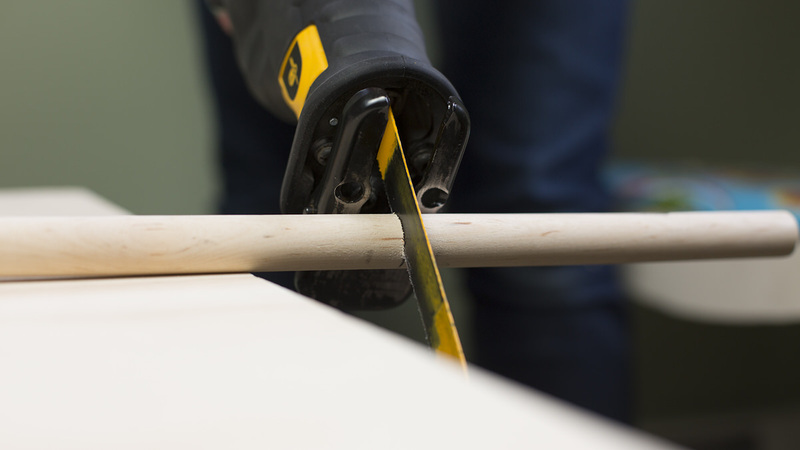 Tip: Save the big splinter pieces; you can use them to shim the underside of the dowels, holding them in place for added stability for the shelves. 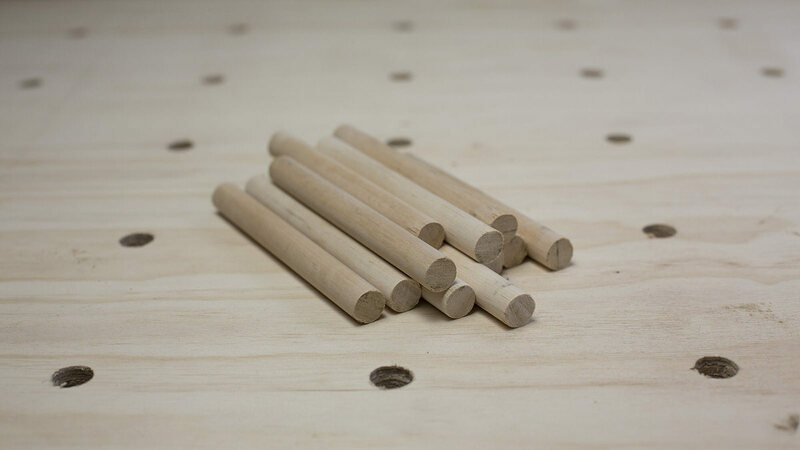 Cut the dowels into 6.5" pieces. 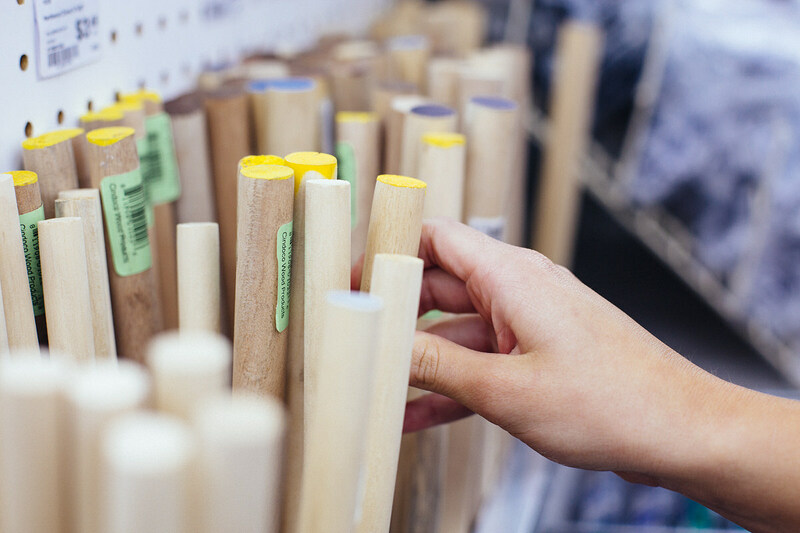 You'll want 10-14 dowels: ten for the shelves and a few extras to hang necklaces or picture frames. 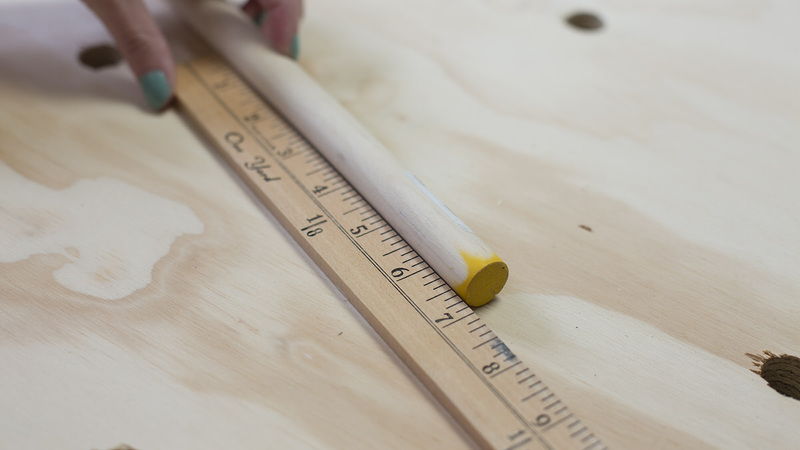 We used a power saw to cut our dowels, but all you really need is a hacksaw. It's time to mount the pegboard! 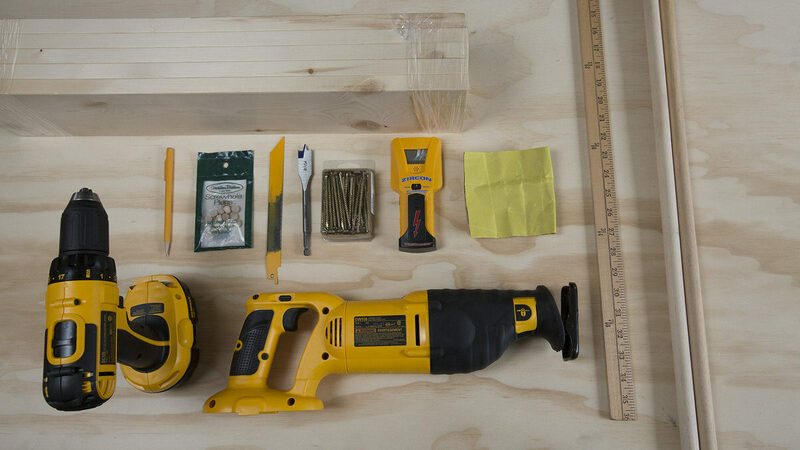 Studs are usually 16" apart, but check the wall with a stud finder first! 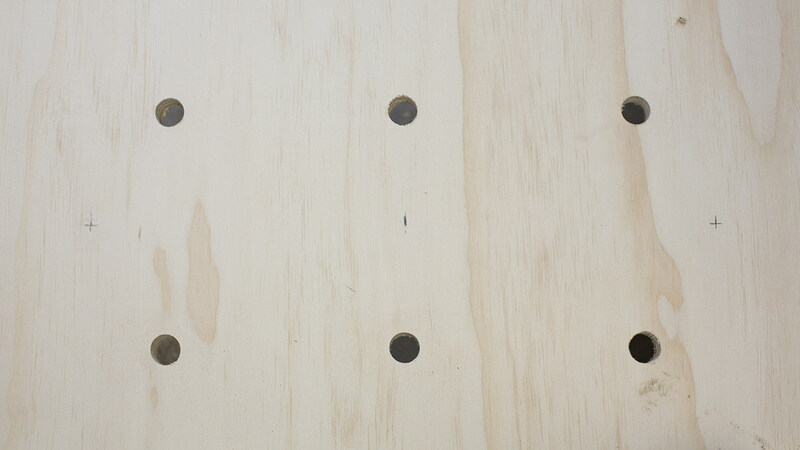 Based on the location of the studs, mark the wall and the corresponding places on the pegboard, 8" off center of the board. Pre drill with a countersinking drill bit so that you can later plug the screw holes with wood plugs. Hang and admire! 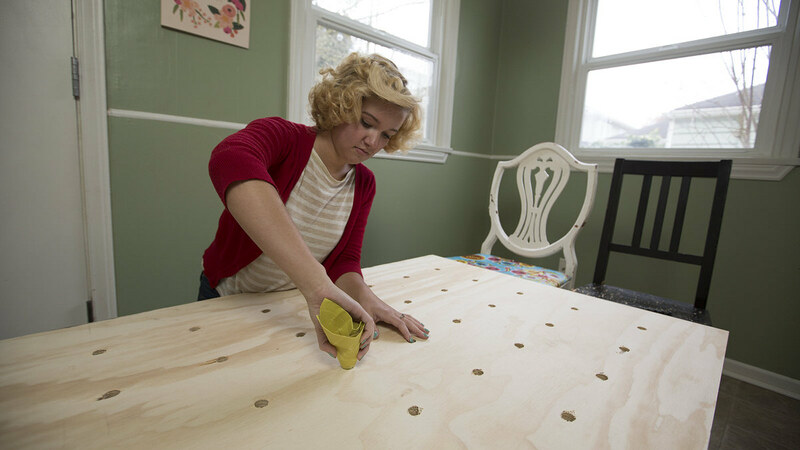 You'll need assistance for this step, so be sure to recruit a friend to hold the pegboard in place while you drill the screws through the pre-drilled holes into the wall studs. If you can't find the studs or they don't correspond to the pre-drilled holes, hang anchors in the wall first.